Monterey Audiologist | Central Coast Audiology, Inc.
Our world is one rich with sights, smells, and sounds which are uniquely precious to us. There is no replacement for hearing the voice of your loved ones, or a beautiful piece of music, or your child’s first word. At Central Coast Audiology, Inc., it is always our goal to give our patients the ability to experience these life moments as fully as possible. Our Monterey audiologist is able to use her breadth of experience to assist you in both finding the underlying causes of your hearing loss and determining the most effective way to treat it. Every day that your hearing nerve goes unused puts another day between you and being able to successfully use a hearing device. This is because when the hearing nerve goes un-stimulated, it begins to atrophy—something which even the most sophisticated hearing aid technology cannot stop. This atrophy will cause your rehabilitation to take much longer, if it is possible at all. There is a saying in our line of work: If you don’t use it, you may lose it! Call our team today at (831) 216-1281 to schedule your free consultation and find out how we can help you hear the important things in your life. 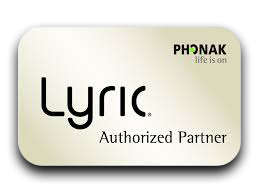 Our team at Central Coast Audiology is proud to provide Lyric™, a revolutionary new hearing device which is the first of its kind. It is the world’s first and only completely invisible hearing aid and it offers fully natural sound. With Lyric’s™ exclusive design, it can work around the clock for months before needing a battery change, even functioning through normal activities such as sleeping or exercising. Our Monterey audiologists trust Lyric™ to give our patients the freedom they have been looking for! Those who seek out Central Coast Audiology, Inc. will find a dedicated and passionate staff, headed by Monterey audiologist Laurel Hinton. Laurel has 27 years of experience in helping to provide a tailored and individually diagnosed solution for those suffering from hearing loss. Part of her motivation to pursue this field was learning about the effects that hearing loss can have on a person’s interaction with the world. This loss can effectively lock people out of much of the world, and isolate them. Laurel understands how frustrating this can be, and takes great pride in the work that she does to correct these problems. To continue providing patients with the highest possible quality of care, she is a member of several professional organizations and continually takes courses to stay up-to-date on the latest techniques and technologies available. Our Monterey audiologist also conducts clinical research, and has worked tirelessly to ensure that our offices are equipped with the most advanced instrumentation available for fitting and verifying hearing devices. Fill out the following form or call us at (831) 216-1281 and our helpful team will return your inquiry shortly.